Hristo Stoichkov is a retired Bulgarian international footballer. Check out this biography to know about his childhood, family life, achievements and fun facts about him. Hristo Stoichkov is a retired Bulgarian international footballer. He is generally regarded as one of the most talented players of his generation and widely considered the greatest Bulgarian footballer of all-time. He has played as a forward for clubs as well as for his country. He has been nominated twice as runner up for the FIFA World Player of the Year. Aside from this, he was the winner of the prestigious Ballon d’Or as well. Furthermore, in 2004, the legendary Pele had inducted him into the list of FIFA 100 which is comprised of the world’s greatest living players. Along with being a very talented player, he was also a quite controversial one. He was notorious for his bad temper which affected his relationship with his fellow players and even the referees. His behavioral issues also hampered his later managerial career as the players found him difficult to work with. 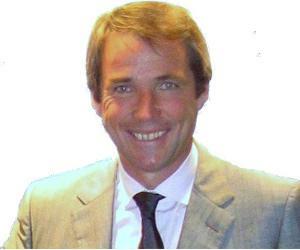 He is currently a football commentator for Univison Deportes, a Spanish language broadcast television network. Hristo Stoichkov was born in Plovdiv, Bulgaria, on 8th February 1966. 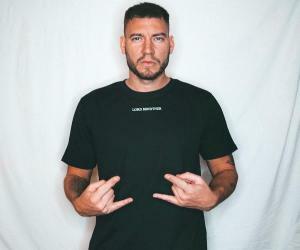 Not much is known about his parents or childhood. Hristo Stoichkov began his football journey at FC Hebros, a Bulgarian football club based in Harmanli, Bulgaria. They played in the 3rd tier of the Bulgarian League. 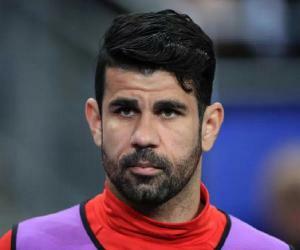 He then moved to CSKA Sofia where he had six fruitful years during which he became one of the top goal scorers in Europe. He also earned a reputation for being prone to bad tempers; during the 1985 Bulgarian Cup Final, he became involved in a fight which originally resulted in a lifelong ban which was later reduced to a year of suspension. He won the European Golden Shoe in 1990 for scoring the most goals in that season. He had scored 38 goals in 30 matches, a phenomenal feat at that time. 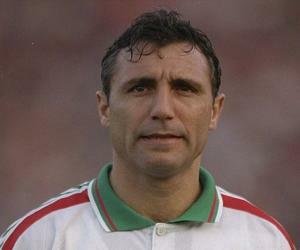 After Hristo Stoichkov established himself in the European scene as one of the top strikers, he joined FC Barcelona, one of the heavyweight clubs in world football in 1996. Unfortunately for Stoichkov, his temper continued to create trouble for him even here. In his very first season, he was given a two month suspension for stomping on a referee’s foot. This did not affect his goal scoring tendency as he still managed to score more than twenty goals in his first year. Stoichkov was one of the players who became part of Manager Johan Cruyff’s dream team in the early 1990s. He was an integral part of the squad that won the La La Liga in Spain for four years in a row between 1991 and 1994. On top of that, Barcelona won the European cup in 1992 defeating Sampdoria in the finals in Wembley Stadium, London. During his tenure at Barcelona, Stoichkov became a fan favorite at Camp Nou. He played alongside club legend Romario up front and the duo quickly became cult heroes at Barcelona. Stoichkov enjoyed massive personal success with Barcelona, as he was nominated twice for FIFA World Player of the Year in the years 1992 and 1994, and he won the prestigious Ballon d’Or in 1994 after leading his National Team to the semi-finals of the 1994 FIFA World Cup. After his spell at Barcelona, Stoichkov transferred to several clubs around the world before finally retiring. He had a short tenure at the Italian club Parma, before moving to Saudi Arabia to play for Al-Nassr. 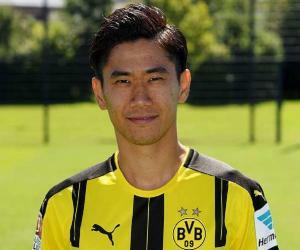 After that he moved to the other side of the world to play in Japan for Kashiwa Reysol, before finishing his career in the United States where he played for two different clubs, Chicago Fire (for two seasons) and D.C United for one season. He had 291 goals in 594 matches of club football. Hristo Stoichkov’s first match for his national team came in the year 1987 in a Euro 1988 Qualifiers Game against Belgium. On his fourth appearance for Bulgaria, he scored his very first international goal in a 3-2 friendly defeat against Qatar in Doha. In 1993, when the qualifiers for the 1994 FIFA World Cup was underway, Stoichkov scored five crucial goals to help Bulgaria qualify for their first major international tournament since the 1986 world cup. He found great success in the 1994 World Cup as he scored six goals and was awarded the Golden Boot for being the joint top goal scorer (the other was Oleg Salenko of Russia). He also earned the Bronze Ball Award in the tournament as the 3rd Best Player Overall. His goal scoring continued with the same fervor as he scored ten goals for Bulgaria during the Euro 1996 qualifiers, helping his team secure a spot in the tournament in England. In their very first game of the qualifiers, Bulgaria overcame a 0-2 deficit against Germany thanks to two goals from Stoichkov and ended up winning the match 3-2. Bulgaria finished 3rd in their pool and hence didn’t qualify beyond the group stage though Stoichkov scored three goals in three matches. At the 1998 FIFA World Cup, Stoichkov’s team faced a first round exit. Following this, Stoichkov announced his retirement from international football in 1999. Throughout his international career he had scored 37 goals in 83 appearances for his country. Hristo Stoichkov began his managing career at the club where he had made the most impact, FC Barcelona. In the 2003-04 Season he was the team’s forwards coach. After Bulgaria’s first round exit from Euro 2004, the governing body of Bulgarian Football appointed him as head coach on 15 July 2004. Unfortunately for Stoichkov, he failed to ensure Bulgaria’s qualification for the 2006 FIFA World Cup. His bad temper from his playing days seemed to have resurfaced during his managerial career, most notably in a game against Sweden in 2005 where he was sent-off for insulting the referee. Tensions grew worse within the Bulgarian team as captain Stiliyan Petrov announced that he would not play for Bulgaria under Stoichkov. Petrov was the 3rd player and 2nd captain to make such a statement in the span of only two years. But after certain agreements, Petrov returned to the national team. Stoichkov formally resigned from the team soon after. Later he had a short and unsuccessful managerial spell at Spanish club Celta Vigo. In 2009, he became manager of the South African club Mamelodi Sundowns F.C but quit the very next year. During the 2011-12 season, Stoichkov was an advisor to Russian club Rostov. In January 2012, he was appointed the manager of Bulgarian team Litex Lovech. He returned to CSKA Sofia for a month-long tenure as manager but announced his retirement after that. Hristo Stoichkov has received several honors throughout his career, including the FIFA World Cup Golden Shoe and FIFA World Cup Bronze Ball in 1994. The same year he also won the Don Balón Award for Best Foreign Player. In 2007, ‘World Soccer’ magazine named him as one of the ‘100 Greatest Players of the 20th Century’. 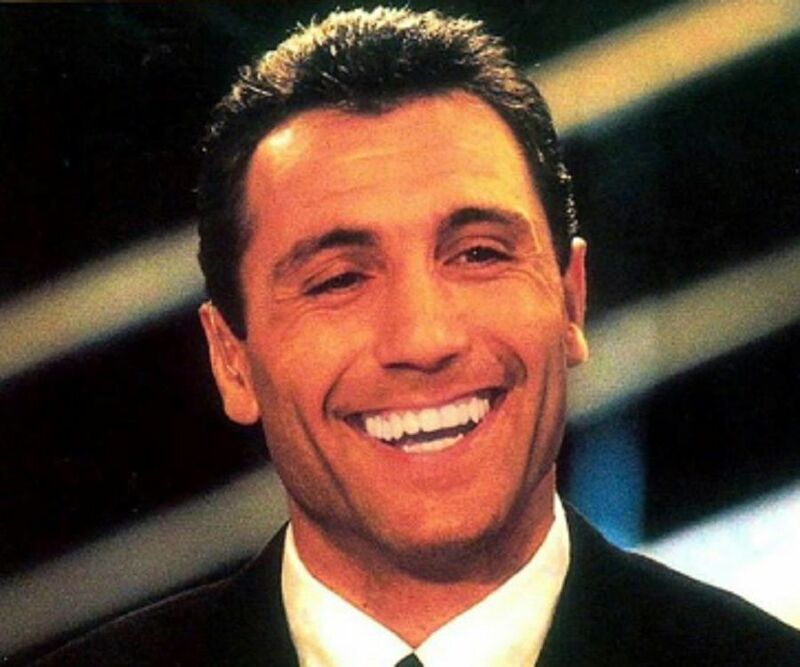 Hristo Stoichkov has not revealed much to the media or the public about his personal life. It is speculated that he is single.